One of the best resources for learning DStretch are the Tutorials by Daren Sefcik. These examples show different techniques for image enhancement using DStretch. 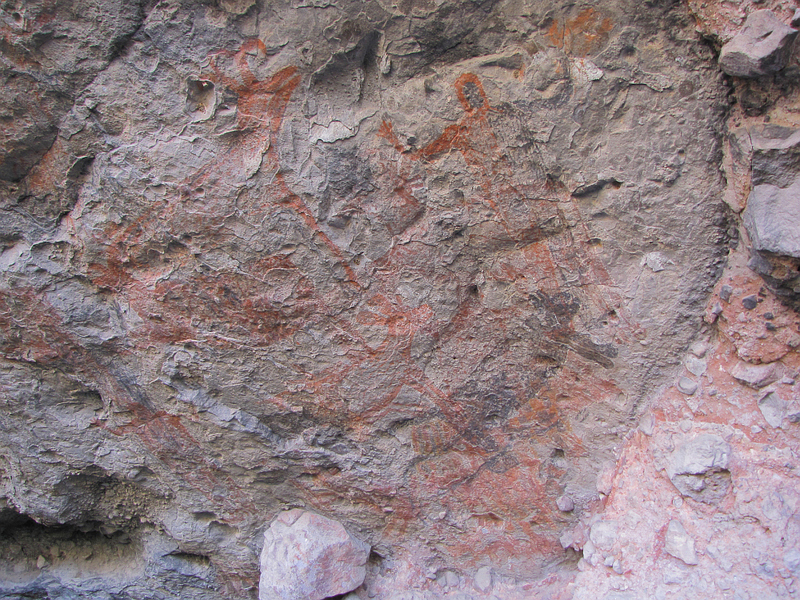 The first two examples are from Cueva San Borjitas, a Great Mural site near Mulege, Baja California Sur. 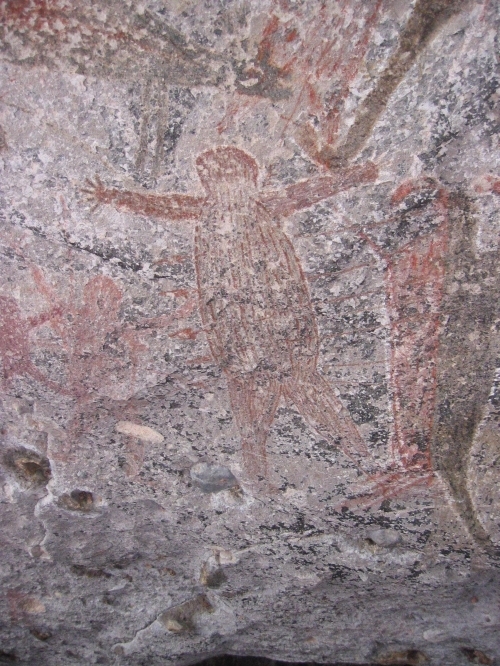 The third is from Cueva Raton, a Great Mural site north of San Ignacio, Baja California Sur. The fourth is from the Carrizo Plain, California. A Chumash site on the old Saucito Ranch, SLO-336. 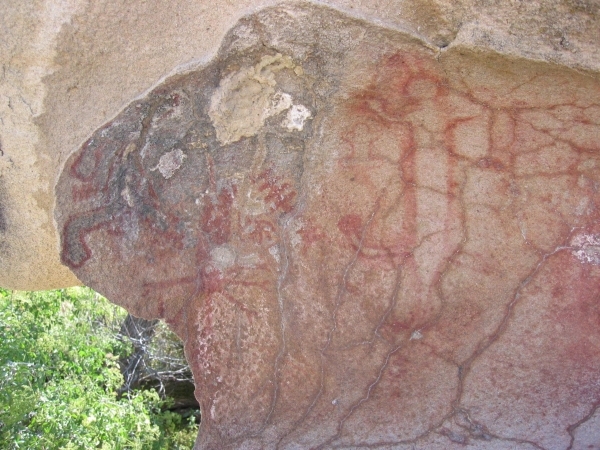 The fifth is from a little known Great Mural site in the Sierra de San Juan. The images in the examples are highly compressed jpeg's. They are not suitable for DStretch enhancement. For those who might want to try their own enhancements on these images I am including the originals in low resolution, but only slightly compressed form. Image for Example 1 (San Borjitas 3174) Image for Example 2 (San Borjitas 3160) Image for Example 3 (Cueva Raton) Image for Example 4 (Saucito Ranch) Image for Example 5 (Agua del Ganado). These images are also available when using the applet and can be opened using the open samples menu. DStretch workflow by Gary Hein. Example 1 demonstrates the differences between colorspace choices and between mapped back and not mapped back. 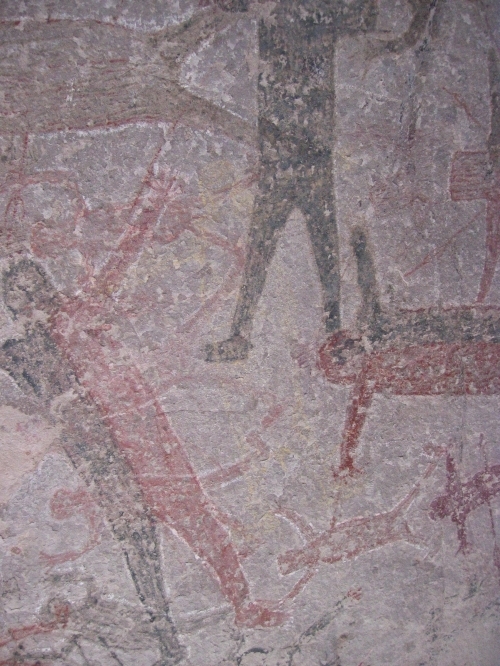 Example 2 shows the use of enhancement in clarifying pictograph composition by improving contrast. I enhanced the image using the RGB colorspace, not mapped back. Then I hue shifted the image by 140 degrees to get better contrast. Example 3 demonstrates the use of the custom RGB matrix. The first enhancement is LAB, mapped back. 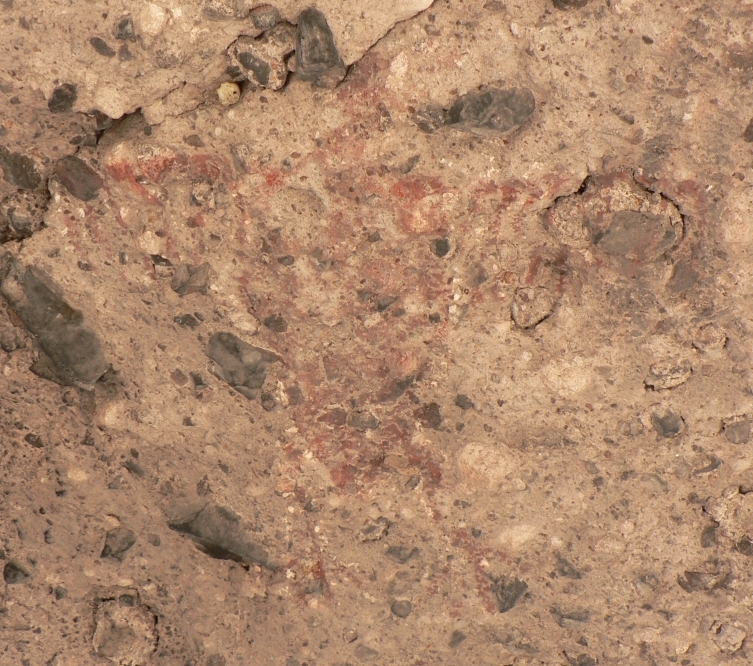 The colors are enhanced and blacks and the wall surface features are still visible. The second enhancement uses the CRGB button. This supresses surface features and makes the red colors more prominent. It helps to clarify the original composition. The price to pay for this is the supression of black or white pictographs. Note that the black "rat", actually a puma, nearly disappears in the custom RGB image. Example 4 demonstrates the use of area selection. The original image includes a green bush on the left. This affects the enhancement. By choosing an area selection avoiding the bush one gets a better enhancement. ImageJ has many different area selection tools. In this case I used a rectangle, but ellipses, polygons, and freehand drawing are also available. By making very small area selections you can create very different enhancements, sometimes getting interesting effects. Example 5 demonstrates the use of hue masking. Agua del Ganado is a very poorly preserved site. The rock is flaking off the walls, taking the paint with it. 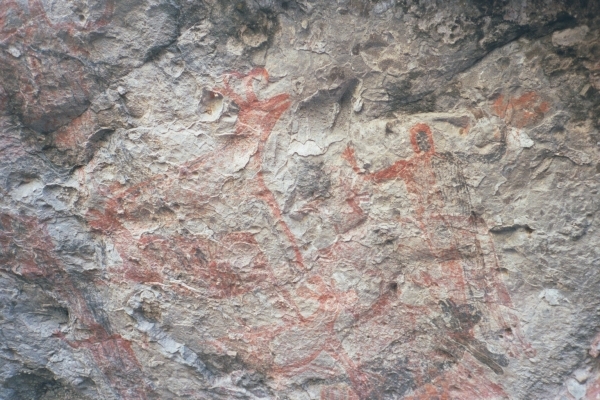 I use a CRGB enhancement to bring out a bird pictograph then I hue mask the result to isolate the hues in the bird. This is not entirely successful since the same hues exist outside the bird, but in a random pattern. I reduce the noise points outside of the bird by using cleaning techniques. Finally I add the result back into the original image.